Darling, you had me at Merlot! Great wine deserves great glasses and the beautiful clear glass Handmade Clear Conical Stem Wine Glass is the perfect vessel for your favourite choice of vino! A table and kitchen essential the wine glass features an usual design with a conical shape that is perfect for a generous measure! 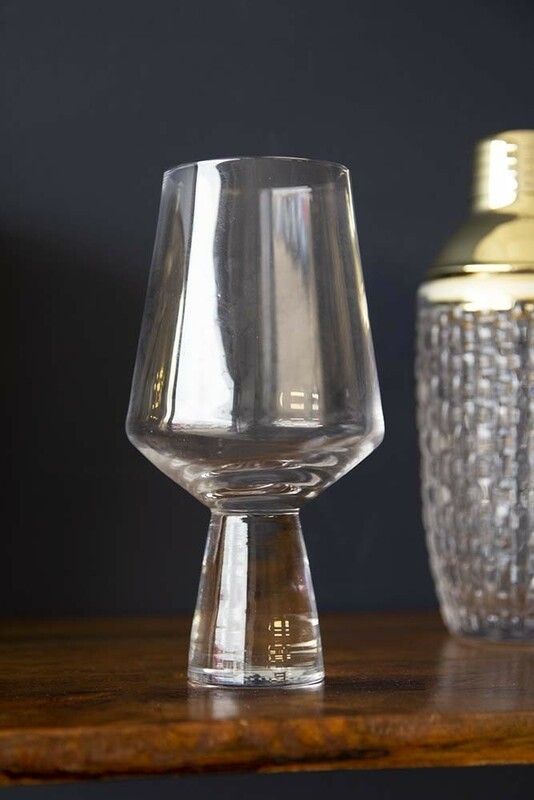 A beautiful glass that will look gorgeous in your kitchen cupboards, units and open shelving, we think that the Handmade Clear Conical Stem Wine Glass would make a fabulous gift for your friend or family member who loves to wine and dine!